Sometimes you need to postpone the processing of an order if, say, you discover an item is temporarily out of stock. The order will be moved to a separate tab called Deferred. Refresh your page if the new tab doesn't appear. 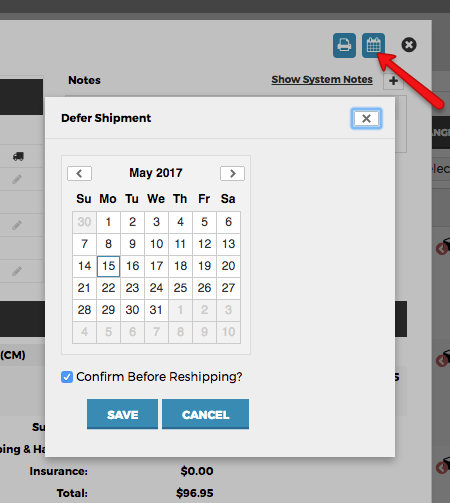 When the deferral expires it will appear in a new tab called Deferral Expired and you can either assign it to a shipping run if you are ready to ship it, or defer it again. Finding it in the Deferred tab. Clicking Cancel next to the Deferred Until date. The order will reappear in Unshipped Orders.